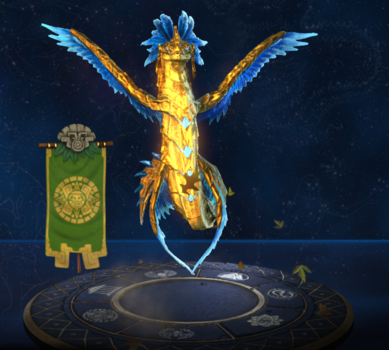 Kukulkan is one of the playable Gods in SMITE. Time has worn away knowledge of this God like the breeze over stone. Perhaps Kukulkan prefers this. He is known by many names and worn the face of man and beast - and worshipped with the kind of reverence born of fear. Grants 58.25 Magical Power from Kukulkan's base maximum mana at level 20. Deals a total of 50/100/150/200/250 (+75% of your magical power) damage by default, and can deal up to 130/260/390/520/650 (+195% of your magical power) damage to a target that stays in the tornado for its full duration. 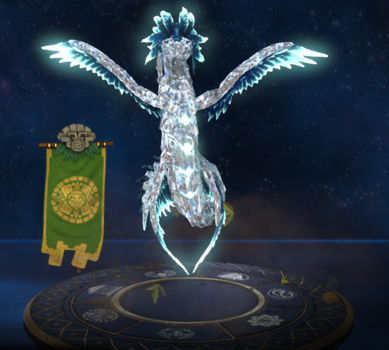 As KuKulkan kill an enemy at fully health with only using Spirit of the Nine Winds. Kukulkan has been a free starter character for every new player account created since May 15, 2018. Accounts made before this date must still unlock him (2500 / 200 ). 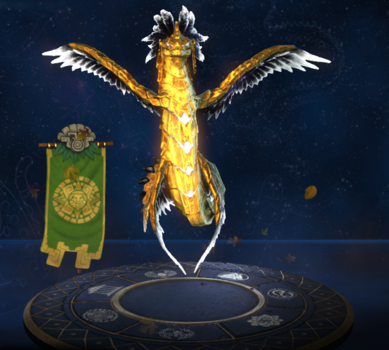 This character replaced the original Ao Kuang, so that he could receive a complete overhaul. One of Kukulkan's jokes, "I can't run into myself or it's game over! ", is a reference to the video game Snake. This skin preserves the original Ao Kuang's Voice Pack and animations. He shares this skin's theme with Lucky Baby Fuwa. This skin makes severaral references to Rayquaza, a monster from the Pokémon franchise. Both of them are Divine Dragons. Both of them have powers over wind. The background on the card art looks similar to where Rayquaza was encountered in the subspace emissary, but this maybe just a coincidence rather than an intentional detail. This skin shares its theme with Monster Trainer Erlang Shen. 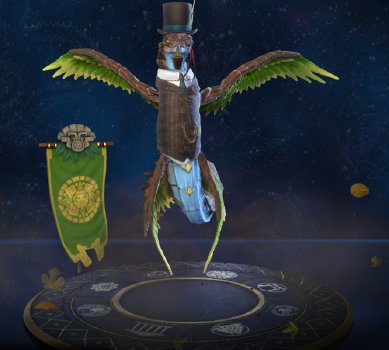 This skin shares its theme with Duke dan de Lyons Anhur, Lord Slashington III Fenrir, Earl Wubert St. Kongfrey Sun Wukong and Baron Frostchild Ymir. 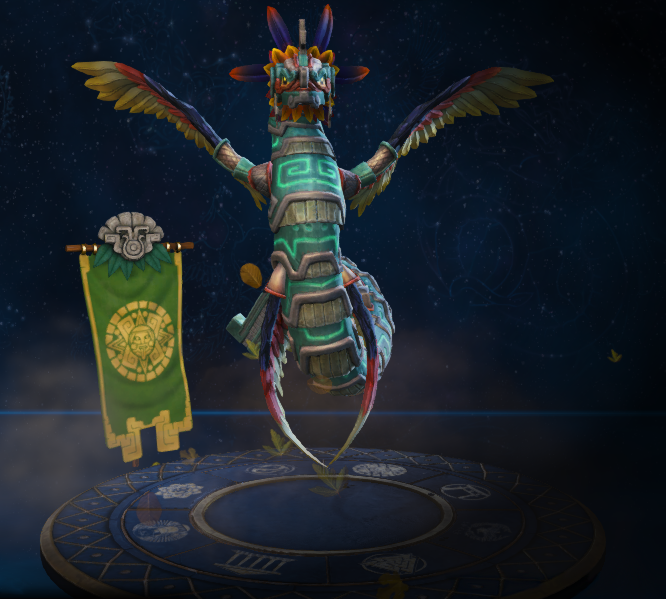 The skin's name and design are inspired by Kukulkan's Aztec counterpart, Quetzalcoatl. This skin and Lord of the Amazon He Bo are the only skins whose voice lines are not in English. This skin shares its theme with Venus Aphrodite and Enyo Bellona. 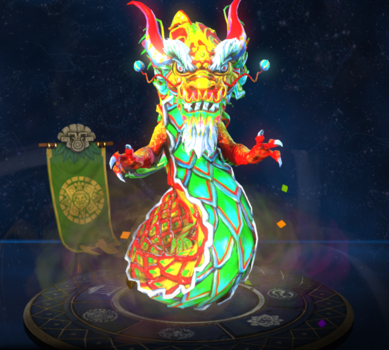 This skin shares its theme with Itty Bitty ChiBee Ah Muzen Cab, Sunny Chibi Amaterasu, Chompy Chibi Fenrir, Heebee Chibi Hades and Beaky Chibi Thoth. This skin reuses the model of Dragon's Rage with diferent textures. This skin shares its theme with Ice Mage Agni. This skin is likely to be inspired by the Zerg race from the videogame Starcraft. 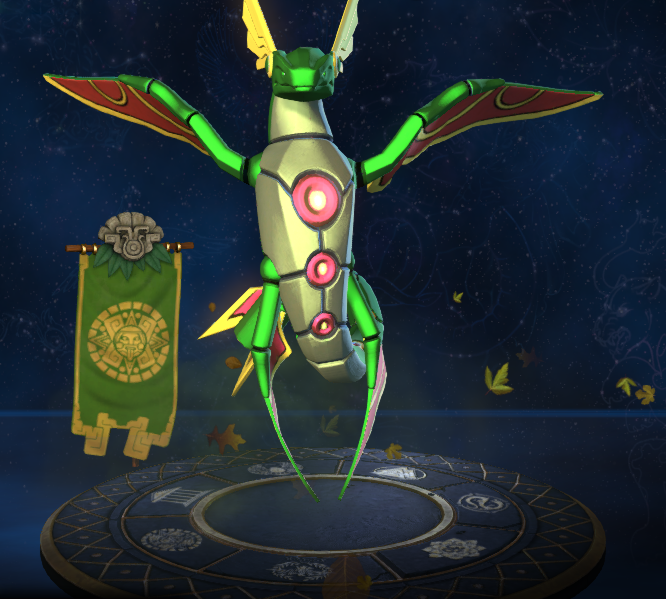 Additionally, this skin's speech patterns resembles that of Abathur, a character from Starcraft II. 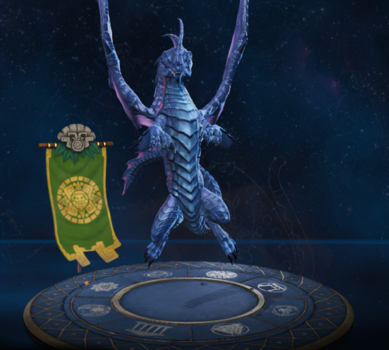 This skin was based on the European Dragon. 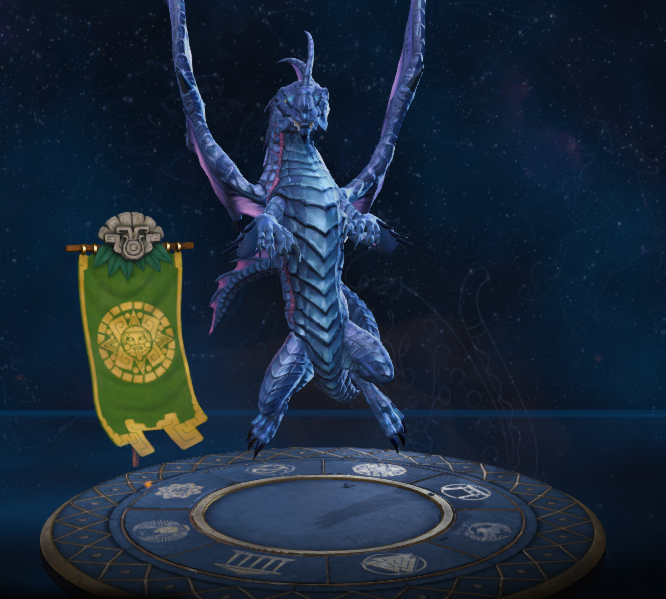 This skin share its theme with Dragon Knight Ao Kuang, Dragon Queen Scylla and Draco Knight Tyr. 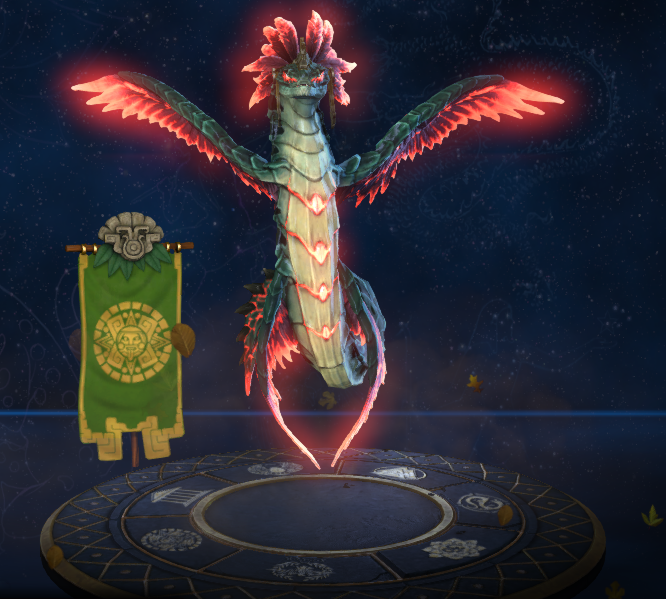 The skin can be unlocked on PC by linking your Hi-Rez account with a PlayStation Network account that has a Smite profile and is subscribed to Playstation Plus: Link. 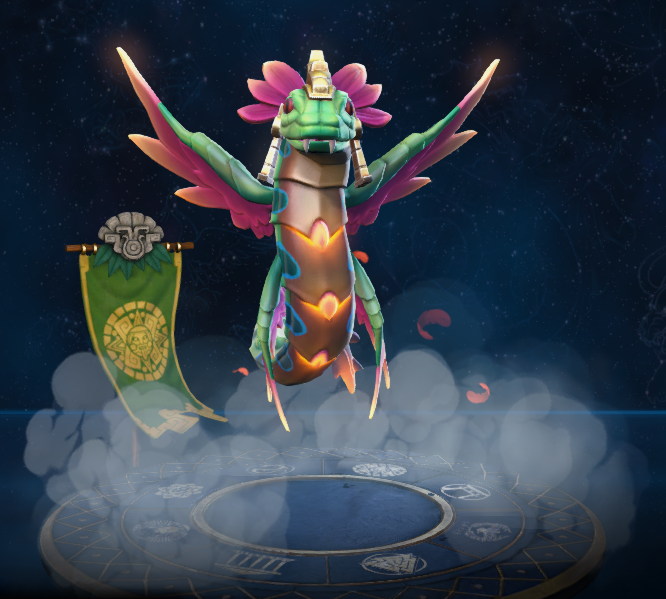 This skin was originally granted to players who migrated their LevelUp LATAM account to the International version. This skin could only be obtained by accumulating 70 Odyssey points in the Hera's Odyssey event. This skin could only be obtained by gaining at least 3000 fantasy points in the Season Ticket 2015. 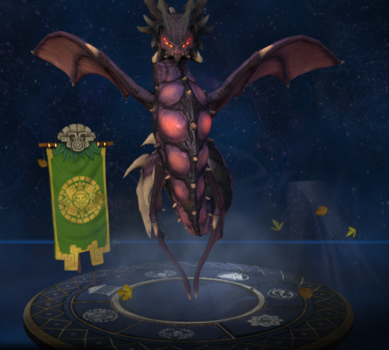 This skin can only be obtained by purchasing the Corrupted Bundle from the Corrupted Arena event. Fixed an issue where Kuku Kukulkan had invisible Basic Attack FX. How this ability provides its Movement Speed has changed. Increased Slipstreams Movement Speed from 20/25/30/35/40% → 40/50/60/70/80%, but the movement speed now decays over the duration of the skill. Reduced mana cost from 85 at all ranks → 65 at all ranks. Reduced Cooldown from 15s → 15/14/13/12/11s. Increased magical power scaling from 60% → 75%. Reduced mana cost from 70/90/110/130/150 → 70/80/90/100/110. 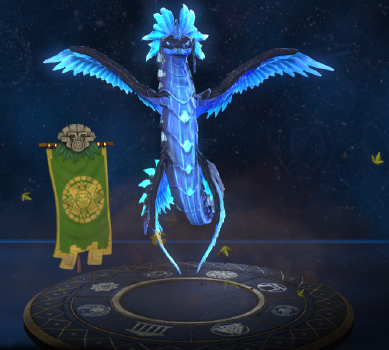 Fixed Kukulkan Void Wyrm skin showing bad textures in Solo Practice. Corrected several typos in his lore. Reduced the duration of damage, once you leave the Whirlwind, from 3s to 2s. Fixed a bug where knocked up or jumping opponents wouldn't be hit by Spirits Tempest, if they timed the jump correctly. FX updated to more clearly indicate active damage time. Slow reduced from 50% at all ranks to 30/35/40/45/50%. Fixed an issue in which some of Ao Kuang’s ability animations would not play if abilities fired in quick succession. Time before projectile fires reduced from 0.5s to 0.4s. Time after projectile fires, before another ability can be used, reduced from 0.5s to 0.1s. Time after the tornadoes appear, before another ability can fire, reduced from 0.5s to 0s. Tornado lifetime reduced from 5s to 4s. This ability can now be placed inside of walls and other blocking geometry. FX on his abilities have been updated. The cooldown on this ability has been reduced from 90s to 80s. The delay between the time that the ability is fired and the spirit starts hitting has been reduced by 0.2s. The slow on this ability has been increased from 25% to 50%. This page was last edited on 22 February 2019, at 22:40.